Here is a good article on improving the performance of your team…see the link below for a quick read and reminder! It is just good basics, but my observation, as you know, is that organizations often fail at doing the basics right. In addition to the better use of progress reports and meetings, improve your skill at giving feedback and coaching in those settings. You cannot refine the performance of your team if you cannot make it clear to them the ways in which they are missing the mark. It is just good basics, but my observation, as you know, is that organizations more often fail at doing the little things right. It is inconceivable to me that some leaders feel that the best way to maintain order is with force, and when resistance appears, increase the force. Here are some accounts of a recent incident in China! 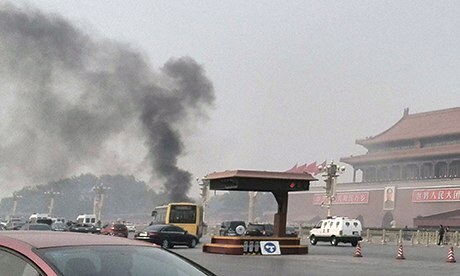 “On October 28, an SUV driven by a Uyghur man and containing two members of his family rammed into a crowd at Tiananmen Square, killing two tourists. The vehicle’s occupants then lit themselves on fire. This is a serious problem because it may portend a cycle whereby violence triggers repression and tighter repression begets additional violence. Violence in Xinjiang appears to be worsening significantly, despite Beijing’s large commitment of money and manpower to… preempt social disorder. A gaping socioeconomic divide helps fuel violence in Xinjiang and such gaps exist elsewhere in China as well, raising the specter of additional attacks throughout the country as unhappy groups without a real political voice turn to violence as an outlet for their grievances. The recent attacks point to a future in which repression alone will no longer be enough to guarantee stability. There is a great lesson in this for societies of all kinds…including businesses. It speaks to inclusion, involvement, and participation. Failure to include all people/groups in the goals, actions and opportunities/rewards of an organization, leads to a state of repression or oppression that tears at the basic fabric of that organization, and lead to its ultimate failure. “This boy is Ignorance. This girl is Want. Beware them both…but most of all beware this boy, for on his brow I see that written which is Doom”. Click the link below to read the full article…very interesting! I just saw an interesting article on gender diversity…posing the question about whether or not gender diversity drives performance. Gender diversity, or diversity of any kind, in and of itself does not drive performance. You must also demonstrate that people from all groups have an equal opportunity to contribute, be recognized for their contributions, and advance in order to get their best performance. If you have a diverse team but are not including all members of the team in the business of your business, you will not benefit from their varying perspectives and strengths. If you are not engaging and fully utilizing all members of your team, then, by definition, you are carrying those that are being excluded and not getting the best productivity you could. If you are not providing equal opportunity for career advancement to all members of your team, you are de-motivating the ones who are being excluded and, therefore, putting the entire burden of performance on the shoulders of those few whom you are favoring. It is not simply a matter of having a diverse workforce. It is a matter of engaging and motivating all members of your workforce. One company I was hired to turnaround was 80% female, yet the entire management team was male. Do you think the females in that company felt that they had any opportunity for advancement in that company? No. Do you think they were motivated or de-motivated by that fact? De-motivated. A simple employee attitude survey indicated that the single biggest problem with the company (as the employees saw it) was that there was no opportunity for advancement. The turnover rate in that organization was 25% per year. Even though the organization had a healthy revenue growth rate, it was not profitable. As I set about improving this organization I restructured the management team to be better balanced from a gender and racial perspective. I also made sure to have representatives from each business unit on the leadership team. In 4 years we improved profitability 16 percentage points and reduced the turnover rate to 8%. While making some changes to the leadership team was only one of many things we did to turn that business around, effectively engaging and motivating our diverse workforce, not just having a diverse workforce, was a key element of the turnaround. I want to rerun a post I ran a couple of years ago. It is about negotiating the terms of your employment…your contract…or any other contract for that matter. Recently I have been hearing a lot of complaints about contracts and agreements in which the wording is very one-sided. Must be a side-effect of the difficult economy and people taking advantage of some desperate times. I was recently looking at a contract in which it said something to the effect that if any lawsuit arose out of the relationship between me and this service provider, that I would be responsible for all legal fees…mine AND theirs. The same had been true in an employment agreement offered to me some years ago. In both cases I crossed out that wording and signed the document. There was no challenge to my doing so in either case. In addition, there were other areas in which the contract language was very one-sided. I also crossed out that language and substituted my own language which was more reasonable…covered their concerns but did not leave me powerless and subject to their whims. The point is, when someone gives you a contract to sign, recognize that this step in a business deal is like any other…it is just one step and in most cases there is room for negotiation. The contract they give you at the start is their opening position. They absolutely have room to negotiate on it, even though they will try to convince you that they do not.